Over the last decade or so, mobile technology has advanced and evolved at a pretty alarming pace, and that trend looks set to continue for the near future. Arguably one of the biggest game-changers was the invention of the smart phone, which, believe it or not, is not even 10 years old yet. Whereas 10 – 15 years ago, mobile phones were intended solely for making and receiving calls, and sending text messages, nowadays these functions are considered a mere afterthought. Smart phones and tablets aren’t considered communication devices, they’re basically high powered computers that you can carry around with you on the move. Thanks to the invention of these devices, businesses all over the world are now able to benefit in numerous ways, with an endless list of possibilities available to them in terms of reaching a mass global market and demographic in real-time on any device. In the business world, having the ability to reach this audience is incredibly important, and if used correctly, highly beneficial in the process. It is estimated that in just a few years approximately three-quarters of all web traffic will be video. And, by 2019, mobile phone users are expected to at least 21 hours a month consuming video content. For the brands looking to stay ahead of the game, this means video content should be a key part of any digital marketing strategy. Live streaming apps such as Periscope or Meerkat for example, are still in their early stages and they already look set to be the next big time players in the social media world. These apps, if used correctly, gives brands new ways to connect with their online communities and also create real-time content that is engaging and relevant to their global audience. Here we’ll be taking a look at 5 simple and effective ways in which brands can use live streaming apps such as Meerkat or Periscope to their advantage. If you’re unfamiliar with Meerkat or Periscope, don’t worry, the basic premise behind them is actually pretty simple. These apps basically allow for videos to be streamed live onto the web, via social media platforms such as Twitter. With Meerkat for example, the interface is actually very similar to that of Twitter. Users can stream live via the app, where a notification tweet will be sent out to all followers, notifying them that there is a new, live broadcast underway. On top of live video, users can also interact live with viewers as the broadcast is underway. How Can Brands Use Live Streaming? Now we know more about how the technology works, let’s take a look at a few ways in which brands can use live streaming to their advantage. Q&As – One fantastic method of using live streaming, and one which is already generating a great deal of positive feedback from businesses and customers alike, is to use live streaming to host live Q&As (Questions and Answers). Say for example, a new product has recently been launched, or is about to be launched, those responsible for creating the product can host a live Q&A with followers where viewers can type questions, and employees can basically provide an answer in real time, not to mention to give shout outs to various viewers in the process. If for example, a viewer has recently received the product being discussed, but isn’t quite sure how to use it correctly, they can then ask how it should be used, and the employee can answer the question in real time, or even provide a live demonstration on how the product should be used. Demonstrate how products are created – Another effective way of gauging interest in your product/company, is to provide live demonstrations on camera, of how the products are made. Obviously your audience ordinarily won’t be able to see how you make your products, so giving them an insight into how they’re created will help gauge their interests and bring awareness not only for the product in question, but for your brand as a whole. You could go through the steps required to make your products, from early concept art, all the way through to the completed product. Obviously you may need to plan ahead to get everything ready, so just think of it as if you’re doing a live presentation, because actually, that’s exactly what you are doing. You can also use live streaming to give customers a glimpse of your offices/warehouses etc, sort of a behind the scenes sneak peak. Interviews – Another popular use of live streaming for businesses and brands is to use the technology to host live interviews, often with customers or employees. This is beneficial because it gives your business a more human feel, and allows your audience to see that you’re just regular individuals like everybody else, rather than just some nameless corporation driven by a never-ending lust for profit. The idea here however, is not to use these interviews to plug your business as much as possible, but rather to engage with the viewers, have a little fun, and provide fresh, interesting, and enjoyable content in the process. Live events – Another very beneficial way of utilizing these pieces of technology, is to use live streaming to stream from live events, so you can keep your fans and followers up to date with news regarding your products and your company on the whole. Think of those involved in the video game industry for example. Fans may have waited years for news of a brand new game, which may be being revealed at a video game expo. By streaming live from that expo, businesses can basically share the big reveal live as it happens, and provide live news update, just as a news reporter reports live at the scene on the TV. Offers and promotions – How annoying is it when you place a big order at your favourite store, only to find that, days later, they’re holding a huge promotional offer offering 50% off their entire stock? We can all relate to this scenario and it’s safe to say that it’s pretty frustrating, as is missing offers and promotions because you weren’t kept in the loop. A great way for businesses to inform their loyal customers of upcoming offers and promotions however, is to basically make the announcement live. Businesses can offer promo codes which may only be redeemable if people tune into your live stream. This will help to immediately build up a vast and fully engaged following, as people love a great deal. 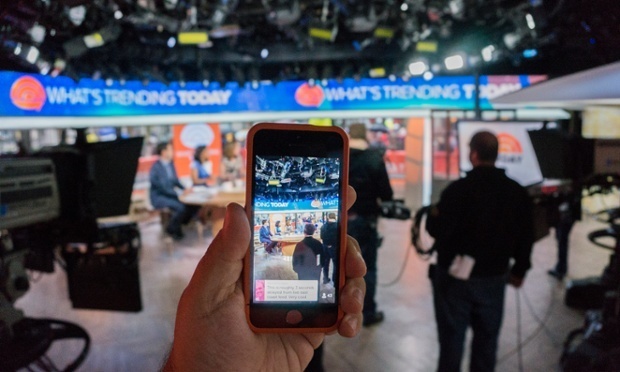 With all these potential uses in mind, it’s clear that Periscope and Meerkat have tremendous potential for brands. This is why its important that you take the time just now to educate yourself on the key features they provide, the demographic that is using these apps globally and also how these new tools can become part of your brands marketing mix! Next story Is Facebook About To Kill Periscope & Meerkat!